Paradigm Shift or Cultural Revolution? Can the Church Change its Moral “Paradigm”? Thus, in the current meaning of “paradigm shift” it is assumed that the old paradigm was defective because it was incorrect or at least inaccurate. Therefore, to speak of a “paradigm shift” in relation to the Church teaching in AL, which states that one can no longer say that irregular couples find themselves in the state of sin (No. 301) and which opens the gates for adulterers to receive Communion (note 351, No. 305)—which a growing number of bishops around the world has been accepting and implementing in their dioceses—strongly suggests that the faith of the Apostles, that the Gospel of Jesus Christ, is being abandoned. “But though we, or an angel from heaven, preach a gospel to you besides that which we have preached to you, let him be anathema. As we said before, so now I say again: If any one preach to you a gospel, besides that which you have received, let him be anathema” (Gal. 1:8-9). But this Revelation, as we have seen, closed with the death of the last Apostle. If “God’s self-revelation” takes place in a privileged way in today’s families, and if the latter have undergone such a change as to require a paradigm shift in relation to traditional Church doctrine, then divine Revelation also must change, or at least its understanding, to conform to historical facts. 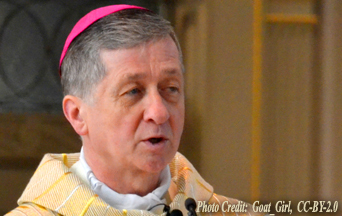 Cardinal Cupich’s quotation of AL that “it can no longer simply be said that all those in any ‘irregular’ situation are living in a state of mortal sin and are deprived of sanctifying grace” (AL 301) attests to this change in the very deposit of faith. Here the distinction between the “Church teaching” (Ecclesia docens) and the “Church learning” (Ecclesia dicens) is abolished. It is important to note that the Decree Lamentabili Sane was the promulgation of the Syllabus Condemning the Errors of the Modernists. Therefore, God would also reveal Himself through sin, and sinful decisions would be the revelation and work of the Holy Ghost. Indeed, this is a revolutionary paradigm shift. But is this still the same Church—One, Holy, Catholic, and Apostolic—founded by Our Lord Jesus Christ and Who categorically affirmed: “Heaven and earth shall pass, but my words shall not pass” (Matt. 24:35)? Cf. 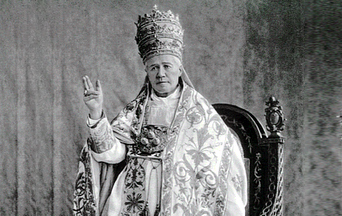 Pius X, Decree Lamentabili Sane (July, 3, 1907), accessed Feb. 20, 2018, at http://www.papalencyclicals.net/pius10/p10lamen.htm; Pius X, Encyclical Pascendi (1907); Pius XII, Encyclical Humani Generis (1950); Pius XII, various speeches against Situation Ethics or Morals; John Paul II, Encyclical Veritatis Splendor (1993). In this article, all emphases in quotes are mine. Blase Cardinal Cupich, “Pope Francis’ Revolution of Mercy: Amoris Laetitia as a New Paradigm of Catholicity,” La Stampa/Vatican Insider, Feb. 9, 2018, accessed Feb. 20, 2018, http://www.lastampa.it/2018/02/09/vaticaninsider/eng/documents/pope-francis-revolution-of-mercy-amoris-laetitia-as-a-new-paradigm-of-catholicity-skMox0lKtoX5szfKH6QgrL/pagina.html. “Card. Parolin: il 2018 di Francesco all’insegna di giovani e famiglia: Intervista al segretario di Stato vaticano sui temi forti del 2018 per il Papa e la Santa Sede,” Vatican News, Jan. 11, 2018, accessed Feb. 20, 2018, http://www.vaticannews.va/it/vaticano/news/2018-01/card–parolin–il-2018-di-francesco-allinsegna-di-giovani-e-fami.html#play; Cf. Edward Pentin, “Cardinal Parolin: Amoris Laetitia Represents New Paradigm, Spirit and Approach.” National Catholic Register, Blogs, Jan. 11, 2018, accessed Jan. 13, 2018, http://www.ncregister.com/blog/edward-pentin/cardinal-parolin-amoris-represents-new-paradigm-new-spirit-new-approach. Francis, Apostolic Constitution Veritatis Gaudium: On Ecclesiastical Universities and Faculties, Dec. 8, 2017, n. 3, accessed Feb. 20, 2018, http://w2.vatican.va/content/francesco/en/apost_constitutions/documents/papa-francesco_costituzione-ap_20171208_veritatis-gaudium.html. “Paradigm Shift,” Merriam-Webster.com, accessed Feb. 20, 2018, https://www.merriam-webster.com/dictionary/paradigm shift. “Paradigm Shift,” BusinessDictionary.com, WebFinance, Inc., accessed Feb. 20, 2018, http://www.businessdictionary.com/definition/paradigm-shift. Pius X, Lamentabili, n. 21. I Council of the Vatican, Constitution Pastor Aeternus, Denz. 1836, in Heinrich Joseph Dominicus Denzinger, The Sources of Catholic Dogma, trans. Roy J. Deferrari (St. Louis: B. Herder Book Co., 1957). Saint Vincent of Lerins, in Vatican I, De Fide Catholica, Denz. 1800. Miguel Nicolau, S.J., Revelación Cristiana, n. 52, in Padres de la Compañía de Jesús, Suma de la Sagrada Teología Escolástica, accessed Feb. 20, 2018, http://www.mercaba.org/TEOLOGIA/STE/V1_T2_L1_Cap2.htm#Art%C3%ADculo%20I. Pius X, Lamentabili, Proposition n. 6. R. Jared Staudt, “Cardinal Cupich’s Modernist View of the Family,” CrisisMagazine.com, Feb. 16, 2018, accessed Feb. 20, 2018, https://www.crisismagazine.com/2018/cardinal-cupichs-modernist-view-family. 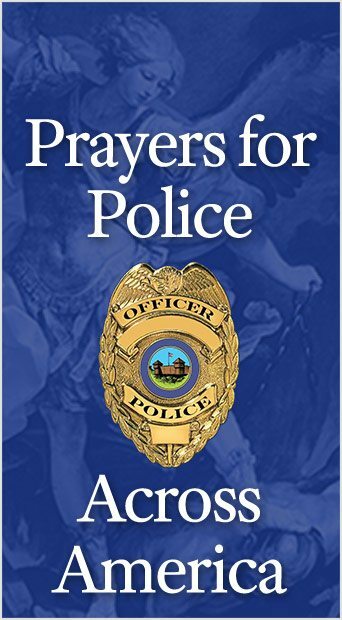 This entry was posted in Catholic Perspective and tagged Amoris Laetitia, Cardinal Cupich, Catholic Church, Catholicity, Church, Church learning, Church Teaching, Cultural Revolution, doctrine, Family, mercy, Modernism, modernist, modernist concepts, moral, natural revelation, paradigm, Paradigm Shift, Pope Francis, revelation, revolution, self-revelation, sin, situation ethics, Synodal Church by Luiz Sérgio Solimeo. Bookmark the permalink.